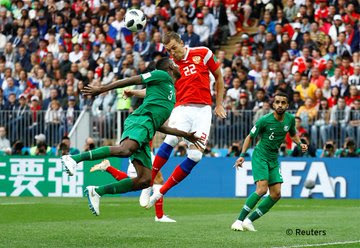 Russia poured in 5 goals against Saudi Arabia in the opening match of the world cup tournament 2018, sending a shocker message that it won’t be an easy contender for the 2018 world cup trophy. 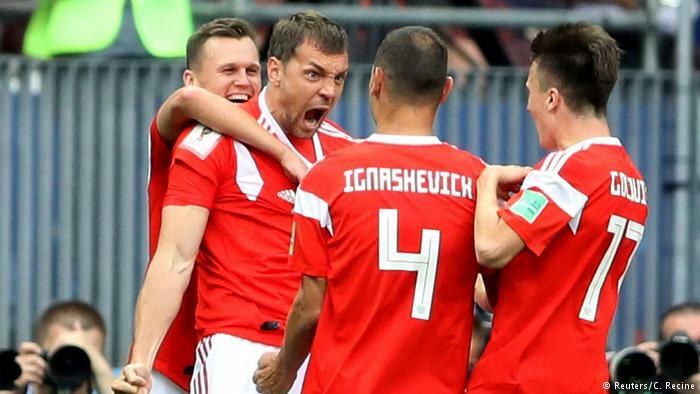 Russia’s Yuriy Gazinsky header after 12 minutes, set the pace of the goal rain and at the same time making history as the first goal of Russia 2018 FIFA World Cup at the 80,000-capacity Luzhniki stadium. Yuriy Gazinsky 12 mins, Denis Cheryshev 43 mins, Artem Dzyuba 71 mins, Denis Cheryshev 90 mins, Alexandr Golovin 90 plus 4 extra mins.